Zug, Switzerland, August 2, 2018 – Today the Energy Web Foundation (EWF) announced it has named Hervé Touati, PhD, its first CEO. With the announcement, Touati will step down from his role as chair of EWF’s Foundation Council. Grid Singularity co-founder and CEO Ewald Hesse has been named the new chair of the Foundation Council; he was previously the Council’s vice-chair. “EWF has assembled a global team of some of the best experts in energy and blockchain. With Hervé, we now have a CEO to match,” said EWF Foundation Council chair Ewald Hesse. “We are excited for the vision and leadership he brings, not just to EWF but also to our fast-growing network of Affiliates. 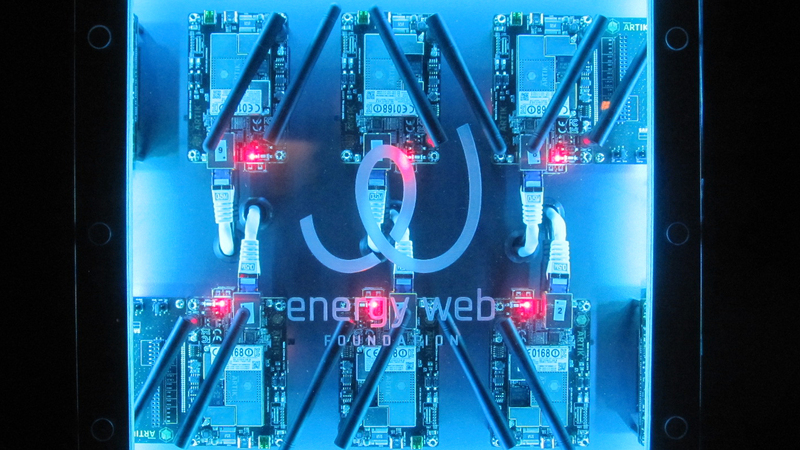 Touati assumes the CEO role at a pivotal time for blockchain in energy and for EWF specifically. Since the beginning of 2018, the number of EWF Affiliates has more than doubled, making EWF the largest energy blockchain consortium. EWF’s Affiliates include major energy companies, leading utilities and grid operators, global IT and other tech companies, blockchain developers, and innovative energy blockchain startups. In addition to installing Touati as its CEO, EWF continues to build out its C suite. Jesse Morris, a noted energy industry thought leader and previously principal in the electricity practice at Rocky Mountain Institute, has been named EWF’s chief commercial officer. Raffaella Piraino, previously CFO of MET International AG, has been named EWF’s chief financial officer. – Ana Trbovich, PhD, co-founder and COO of Grid Singularity. With a combined roster across its executive officers and board that includes some of the most respected names in the industry, EWF is strengthening its leadership as energy blockchain gains more and more investment en route to commercial scale and industry adoption.